Tyler Callihan reminisces on the first time he visited University of South Carolina. He was 10 years old and driving with his baseball travel team coach to a tournament. The coach asked his son and Callihan if they wanted to make a detour and check out South Carolina’s then-recently constructed Founders Park. South Carolina was hosting a free-admission baseball scrimmage. They went into the ballpark and watched. Callihan even caught a foul ball. It was the first college ballpark he ever visited. The memory remained in the back of his mind when the college recruiting process began. 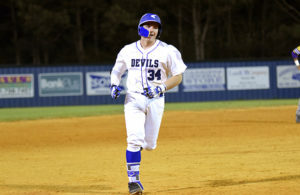 South Carolina baseball extended Callihan a scholarship offer as a high school freshman, and he was instantly set on signing with the program, he said. Callihan may never play baseball for South Carolina, though. He is a well-regarded prospect for June’s MLB draft. 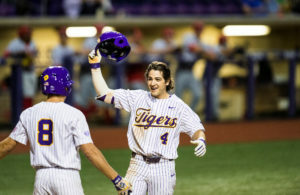 He’s one of the top prep hitters in this year’s class and has a chance to be a first-round pick. Callihan is a 6-foot-1, 200-pound left-handed hitter. His best trait is his hitting ability. He has impressive raw power and consistently barrels up pitches. 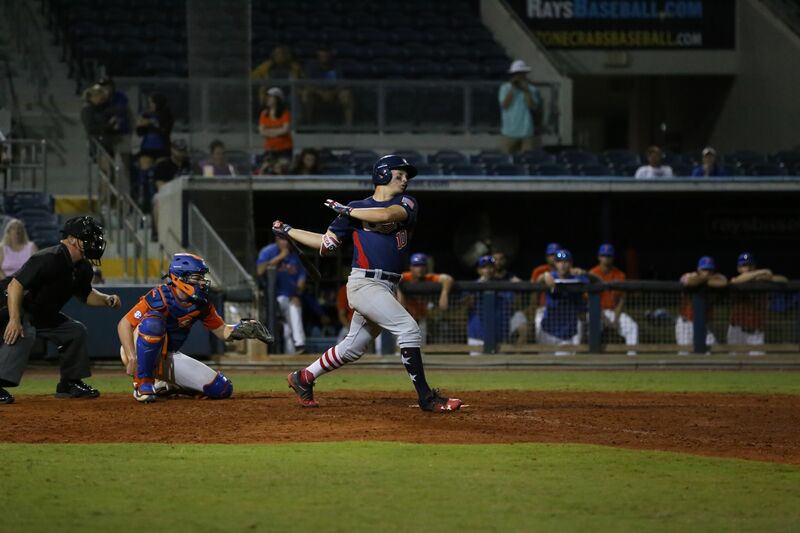 The Florida native hit six home runs throughout his junior high school season last year. He already has surpassed that total with nine home runs this season. He hit .528 with two home runs as a member of USA Baseball’s under-18 national team last summer. He said he struggled at times during his high school season last year with the slower velocity. He worked on his approach throughout the offseason to wait back on pitches and drive them to all fields, he added. Continuing to refine his approach is Callihan’s focus over the remaining part of his high school season. Callihan primarily plays shortstop for Providence High School in Jacksonville, Florida. He also plays catcher and serves as the team’s closer. 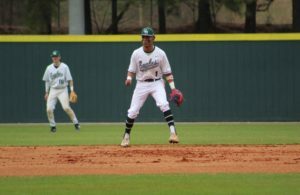 Throughout the showcase circuit last summer, Callihan moved around the diamond and primarily played first base due to the depth of high-end talent in the middle infield and at third base. His defensive play drew mixed reviews. But Callihan admits he thought his defense was his best tool going into the summer. The criticism motived him to improve. He dedicated time in the offseason to improving his footwork, range and athleticism in the field. If he opts to bypass the professional ranks this summer and attend South Carolina in the fall, Callihan said he wouldn’t have a defined position. His future defensive position is the biggest question mark with professional scouts. Some believe he’d be an intriguing offensive-minded catcher. He plays the position once every “three or four games” for his high school team when catcher Nathan Hickey, a Florida commit, pitches. Callihan believes his defense is a strength in his game. Although he’s open to playing anywhere he said he’s most comfortable at third base. Dan Zielinski III has covered the MLB draft for four years. He’s interviewed 133 of the top draft prospects in that period, including three No. 1 overall picks. Multiple publications, including Baseball America, USA Today and The Arizona Republic, have quoted his work, while he’s appeared on radio stations as a “MLB draft expert.” Follow him on Twitter @DanZielinski3. Dan Zielinski III is the creator of the Baseball Prospect Journal and has covered the MLB draft since 2015. His draft work originally appeared on The3rdManIn.com, a sports website he started in December 2011. He also covered the Milwaukee Brewers as a member of the credentialed media for four years. Enter your email address to subscribe to Baseball Prospect Journal and receive notifications of new posts by email.